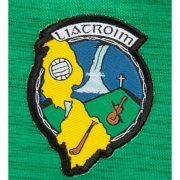 Coiste Chontae Liatroma CLG Annual Church gate collection for all of County Leitrim takes place on next Saturday 21st and Sunday 22nd May 2011. Please support this annual fundraiser. Posters have been distributed to all clubs and they are asked to kindly arrange collectors.